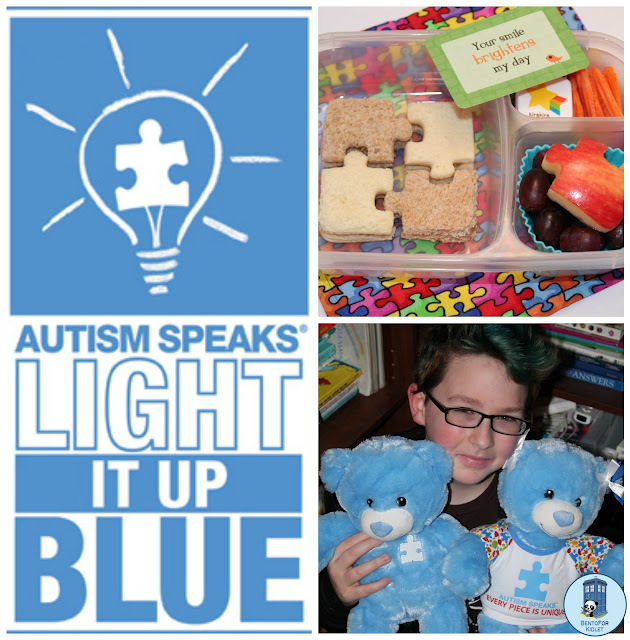 Today is World Autism Awareness Day! This is a cause very close to my Kidlet's heart and he was very excited for me to make a special lunch for him today. For the past two summers Kidlet has spent a large part of his summer going to summer school. By choice. Not because he needs summer school but to participate in a Peer-Buddy program. He worked in a classroom of special needs kids helping with their summer school work and most of all being a wonderful friend. Now that Kidlet has started Middle School he was given the opportunity to give up his Study Center class period to help in the special needs room. He has made some great friendships there and is amazing at working with kids who have Autism and other special needs. His sweet nature, patience, and understanding of the differences we all have make him a rather extraordinary person in my book. The teacher he works with told me he is just a natural and they love having him! Kidlet got these special bears at Build-A-Bear Workshop. 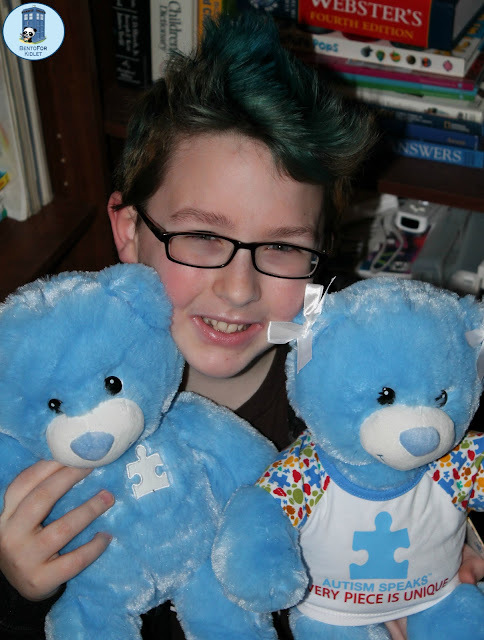 A $1 donation to Autism Speaks is made for every bear purchased! He made the one on the left for himself and it is unbelievably soft! The bear on the right in the cutie shirt he made for the teacher he works with in the special ed room. 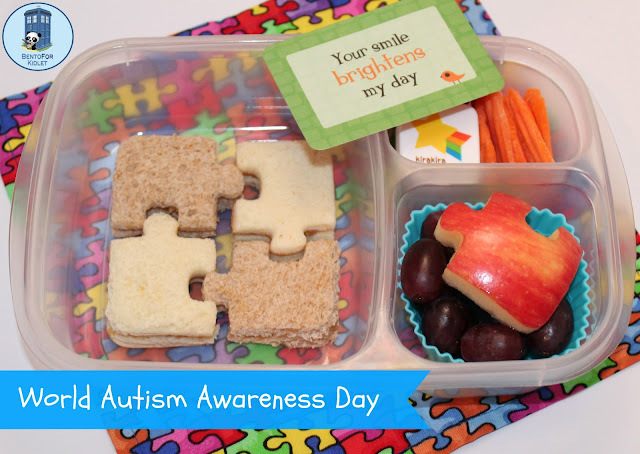 Check out my buddy Cristi's lunches at BentOnBetterLunches for World Autism Awareness Day, which is every day for her and her awesome kiddo Pickle! So awesome! Your kidlet is one fantastic boy :) This whole post made me smile. You're one awesome mama to have such an awesome kidlet! Blah, I can't see my comment until you approve it and I have a feeling I may have made a typo, boo. I love that he is helping other children! You must be very proud of him! 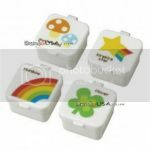 Im a new follower to your blog - love it! Such a sweet article!! Your son is doing amazing things! and the Bears are so adorable! !